Among all the accommodations nearby, there is a type that is ideal for few days’ getaways. 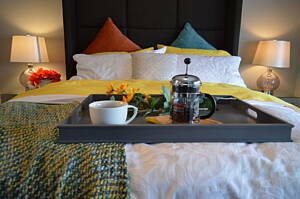 Cheap B&B and even luxury bed and breakfast are all around Oxford offering great services where breakfast is included. It is very nice when you get to know other travellers when booking B&B. However, there are many private bed and breakfast in Oxford if that is what you prefer, as well as pet friendly bed and breakfast if you are traveling with your pet. At Infoisinfo our commitment is to work hard to show you where to find the best products and services in Oxford for you and your company. We care about your comfort and that is why we want to help you to find the best accommodations in Oxford. We have prepared a list of the best B&B hotels and guest houses in Oxford.